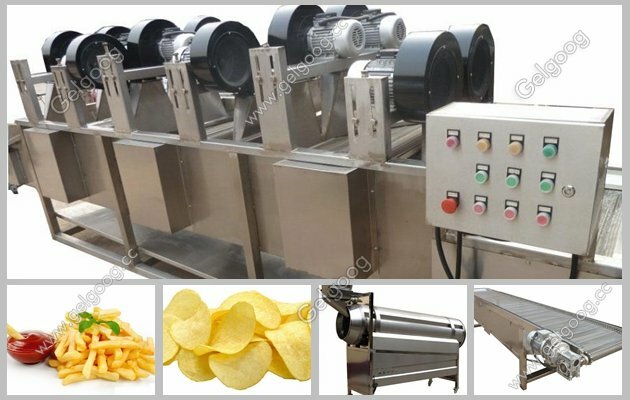 This potato chips production line is automatic from feeding to finished flavored potato chips. The machines are connected by elevator and conveyor. 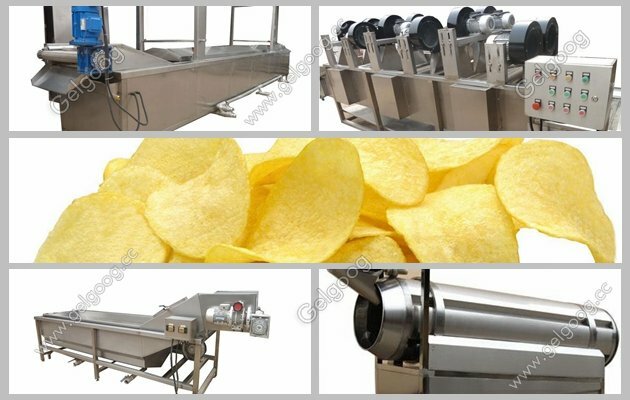 Potato Chips Processing Plant Manufacturer The potato chips production line is automatic from feeding to finished flavored potato chips. The machines are connected by elevator and conveyor. 2, This potato chips processing plant is automatic, thus it will saving labor to reduce the cost of operation the machines. 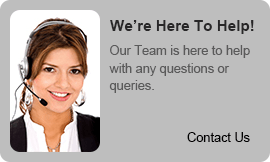 3, All machines are made of Stainless Steel 304. 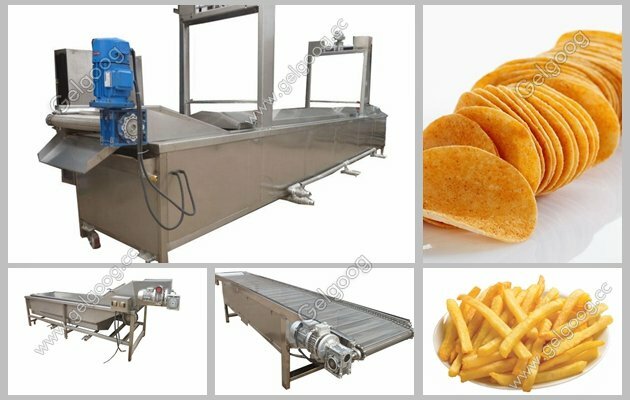 4,For Potato Chips Cutting Machine, it can cut fresh potato to be potato chips and also can be french fries, and also can cut potato slice and french fries with screw on the surface. 5, For fryer machine, it is adopted water-oil separating system. so that it can extend the oil working life. The kind of fryer machine, it is continuous working, automatic feeding and automatic discharging, and the conveyor will take the material by conveyor to discharge.